Chandni believes that financial health is critical to leading a happy and fulfilled life. She works to improve the financial lives of low income consumers who might not have the information, habits, or resources to lead financially healthy lives. As a director on the program team, Chandni leads research and consulting projects, manages key client relationships, and provides subject matter expertise in the areas of savings, customer behavior, and digital financial services. 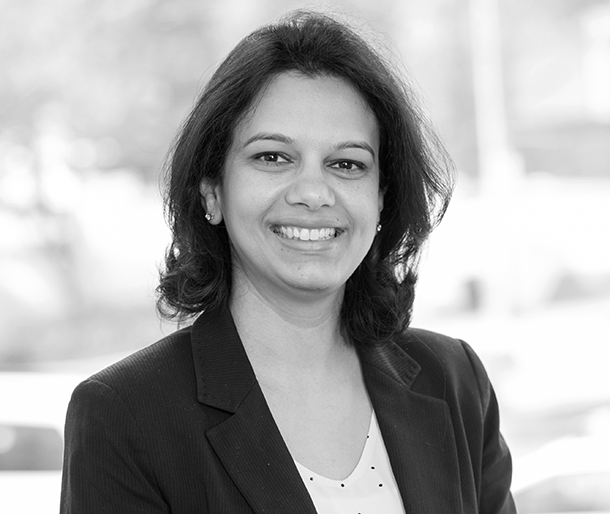 Chandni brings over 15 years of experience in financial services, microfinance and international development. During her time as the CEO of Grameen Foundation India, Chandni spearheaded the strategic vision, implementation of that vision, and operations for the foundation. In previous roles, Chandni helped organizations deliver financial services, and health and livelihood solutions for the low income. She provided these organizations with her expertise in strategy development, program design and implementation, institutional capacity building, technology integration, change leadership, and impact measurement. Chandni holds a Masters in International Development from the University of Washington, Seattle and an MBA from Indian Institute of Management (IIM), Bangalore India.